Whether you have a stopped up toilet, sink, dishwasher, or sewer main, Suncoast Plumbing has the proper equipment and experience to fix your clogged drain. Are you experiencing slow flushing toilets? Does your kitchen sink drain slowly? Are you standing in ankle-high water by the end of your shower? You could have a partial or completely clogged drain. Don’t wait before it gets too late and serious. Water damage can cause tens of thousands of dollars in damage. It’s better to fix a clogged drain as a precautionary measure before your life is upended because of water and sewage damage. Suncoast Plumbing is offering 15% off all plumbing services to help you out. A clogged drain can be caused by many factors: hair accumulation in a shower or bathtub, small items like a child’s toy dropped down a toilet, sanitary products, food, and more. You can educate yourself on how to avoid clogged drains here. Are you standing in accumulated water during any part of your shower when you didn’t use the stopper? If so, you most likely have a clogged drain. This is not uncommon if you have long-haired people showering and bathing in that bathroom. If your attempts to clean it out have been unsuccessful, you might need some more serious plumbing equipment to get the job done. We are available to give you a free estimate and fix your clogged drain for you. Call for your free drain cleaning estimate. Have you ever stood watching the waste in a toilet swirl while the water rises? You panic! 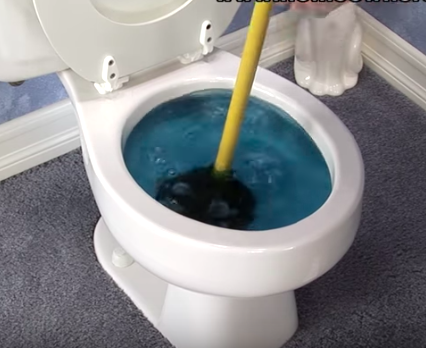 If you don’t have a plunger handy, that water and waste might just overflow onto your floor contaminating everything it touches. This could be a one-time occurrence because of too much paper use; however, if your toilet is clogging more and more often, you could be experiencing a clogged drain or a blocked sewage line that will most likely only get worse. You don’t want to ignore this issue. After trying to fix it yourself, if you are not seeing an improvement, please give us a call. 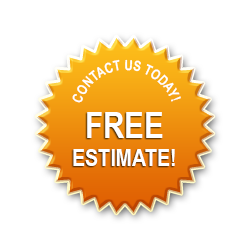 A free estimate could save you a lot of money down the line. (no pun intended) Call for your free drain cleaning estimate. The drain in your kitchen is working hard, It handles water from the tap, chunks of food, water and food from the dishwasher, and food ground up by your garbage disposal. If water is draining slowly or backing up into the sink, run the garbage disposal first to make sure the drain is not blocked by food debris. If this does not fix the issue, you might have a clogged drain. You don’t want to set the dishwasher before you go to work and return to have 2 inches of water in your downstairs. 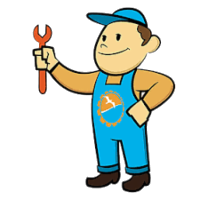 Call Suncoast Plumbing as soon as possible to check it out and give you a free estimate. When a sewer line gets blocked, the sewage from your toilets cannot exit your home. 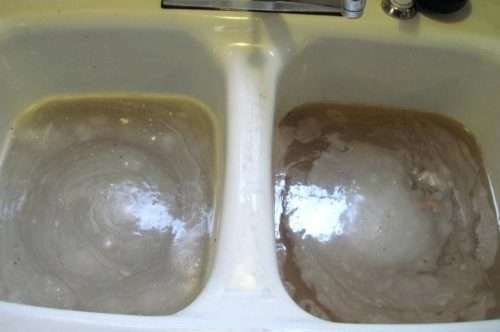 If you continue using your water, the sewage will eventually back up into your bathtubs, showers, sinks, and toilets as you can see in this picture. Imagine the contamination. If your damage is this bad, you will need two different types of cleaning companies to come out to clean it up. If you see sewage backing up into your tubs or toilets please stop running your water. The more water you run, the more difficult it will be to remove the water and sewage. We have the proper tools, equipment, and experience to locate your sewer line and install an accessible sewer line clean out for you. Call Suncoast Plumbing now to save yourself a ton of money later on if you experience a blockage or a main sewer line stoppage. For a limited time, you can get 15% off all plumbing services with Suncoast Plumbing. If you own or manage a bar or restaurant, you need to maintain the flush valves for your high pressure toilets and urinals. Suncoast Plumbing can service your flush valves upon our first call because we keep our vans fully stocked with repair parts eliminating downtime for your customers. We understand that not having a fully functional restroom can cause customers to go elsewhere which ultimately causes a reduction in revenue. If you notice slow moving or standing water in a toilet, be sure to call us immediately. 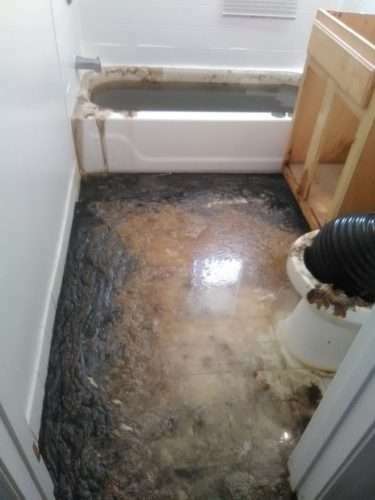 If that toilet were to back up and spill sewage onto the floor, the damage and loss of revenue could be devastating to your business. Give Suncoast Plumbing a call or contact us hereContact a Plumber for your free drain cleaning estimate.